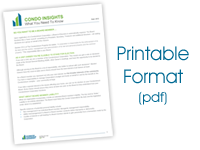 This article covers the benefits of updating your Condominium Corporation’s By-laws and the step-by-step process of making changes. By-Laws – What Are the Benefits? Only By-laws which are registered at the Land Titles Office can be legally enforced.